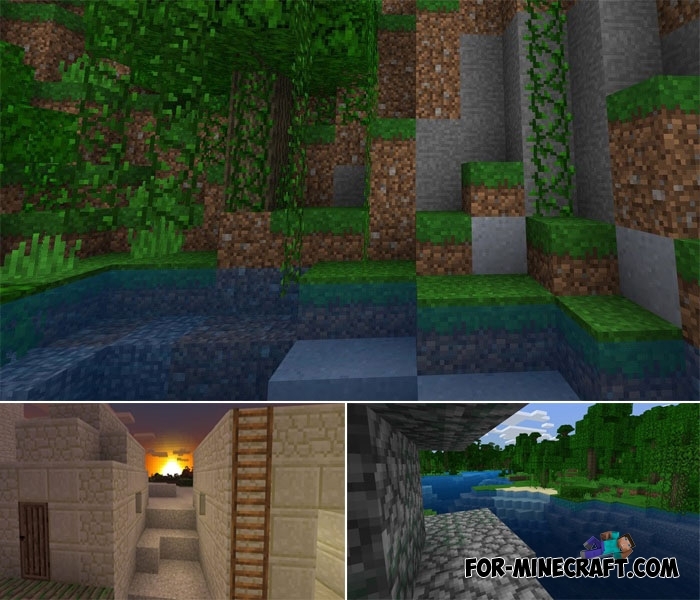 There are different texture packs for Minecraft, but vanilla is by far the best of all. They are developed by experienced designers and artists who take into account all criteria from comfort and quality to stylistics and appearance. You can try a lot of textures but vanilla will still be an ideal option for survival. But even vanilla textures can be improved and slightly updated. Vanilla Alternative is exactly the case when every object in MCBE received a slight improvement. If you are playing the game not so long ago, you are unlikely to find the difference between Vanilla and Vanilla Alternative, experienced players will notice a brighter picture, changed details and a more neat appearance. How to install the Vanilla Alternative?